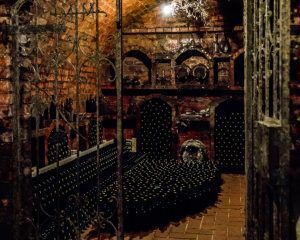 ELIZABETH, N.J. (PRWEB) MARCH 19, 2019 – Transportation and wine storage experts, Xpeditr Inc. understands wine at a molecular level, and the necessity for a stable environment to ensure optimal conditions for aging. Even the smallest changes in the elements; temperature changes, humidity variances, friction and agitation can quickly damage a fine wine bottle, or entire collection. 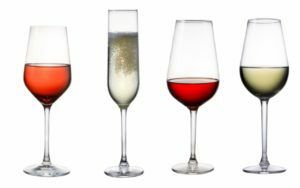 ELIZABETH, N.J. (PRWEB) NOVEMBER 27, 2018 – Fine wines are living, breathing organic treasures that are sensitive to even the smallest changes in the elements; temperature changes, humidity variances, friction and agitation can quickly damage a bottle and its contents. Xpeditr wine insurance provides extended coverage to specifically address the different types of damage a wine bottle or wine collection might experience due to the elements, natural disasters, power outages, and more. 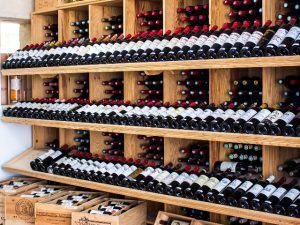 ELIZABETH, N.J. (PRWEB) SEPTEMBER 19, 2018 – XERT, the Xpeditr Emergency Response Team, is ready to help wine collectors protect and preserve their liquid treasures from natural disasters. Established in 2012 following the devastation of hurricane Sandy, the team is made up of 20 fearless wine experts positioned and ready to extract wine collections from potential danger zones before disaster strikes. ELIZABETH, N.J. (PRWEB) AUGUST 28, 2018 – Renown for excellence in wine transportation across the USA and Canada, Xpeditr Inc. now delivers to super yachts across North America. Whether it’s a sports team traveling by boat or a sailing crew traversing the seas, Xpeditr provides hassle free, temperature-controlled wine delivery to tax-free ports, and will even load the bottles onboard. Insured and bonded, Xpeditr takes special care of fine wine transportation from start to finish. 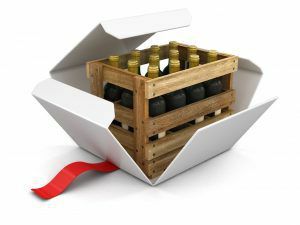 First, wine bottles are packed in corrugated wine boxes that allow for climate control in addition to carefully protecting each individual bottle from damage. Then, boxes are carefully loaded in trucks specifically designed for temperature-controlled wine transportation ensuring wine boxes are secured, and temperature and humidity levels are stable so wine does not spoil. Upon arrival at the tax-free port wine boxes are unloaded and bottles carefully stored in the onboard wine cellar. The Health Benefits Of Wine: Does A Glass A Day Keep the Doctor Away? Wine has a history of use for medicinal purposes; a digestive aid, a cure for lethargy or the common cold, and even pain management. 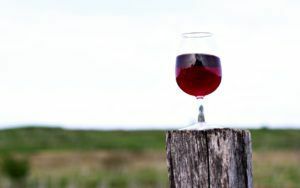 Throughout time, wine has been praised for it’s magical health benefits, without a full understanding of the interactions that actually promote health. The Xpeditr Team is made up of fine wine collectors and connoisseurs who genuinely appreciate the aroma, body and finish of a perfectly aged wine, and we’re here to share our knowledge, experience and secrets with you! (PR Web, April 23, 2018) – The Xpeditr Inc, “My Private Sommelier” gives clients what they need: a personal, experienced and qualified sommelier to not only manage their fine wine collection, but transform their entire wining experience. 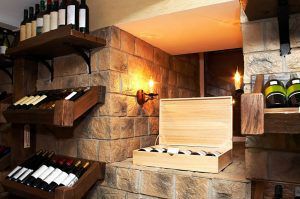 My Private Sommelier Services commences with a wine cellar visit where wines are inventoried, catalogued, appraised, tasting notes compiled and updated, and the storage environment assessed to ensure conditions are prime for aging. Backed by decades of industry experience and trusted for their expertise, Xpeditr Inc. sommeliers work directly with clients to create personalized wine and food pairings that take into account taste preferences, the harmony of flavours on the menu, and the special occasion. 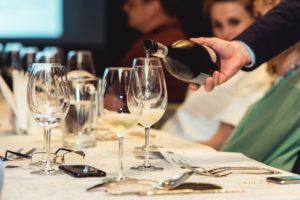 Whether having a private dinner for two, a glamorous cocktail party, hosting a wine tasting or corporate event, sommeliers will create a unique multi-course wine menu that is sure to impress. (PRWEB, JANUARY 09, 2018) – Following the destruction of precious, rare and historic wine collections valued at over $7 million during hurricane Sandy in 2012, fine wine transportation specialists, Xpeditr, launched XERT, the Xpeditr Emergency Response Team. (Decanter, September 12, 2017) – Some Florida residents reportedly made hurried calls to wine removals specialists in an attempt to protect valuable bottles from Hurricane Irma, which has left a trail of destruction through the US state and across the Caribbean, with dozens of deaths reported. It won’t have topped the list of concerns for many, but wine removals specialist Xpeditr said that its ’emergency response team’ was dealing with requests in Florida to rescue precious bottles from the path of Hurricane Irma.